Simultaneous with teasing redesigned Mac Pros due next year, Apple on Tuesday announced modest upgrades to existing 2013 models, increasing the performance of stock configurations. The base $2,999 model is being boosted from 4 cores to 6, and from twin AMD FirePro D300 cards to a pair of D500 units. The $3,999 model is growing from 6 cores to 8, and switching its twin GPUs from the D500 to the D700. The upgrades should go into effect later today, but are not yet reflected on Apple's online store. 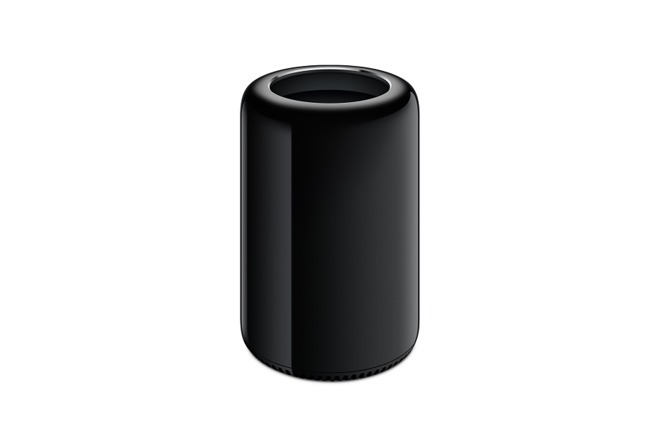 Apple has left the Mac Pro largely unchanged since 2013, creating problems for professionals who want to use a Mac for performance-intensive tasks such as 3D rendering or high-resolution video editing. Other Macs use mobile graphics cards and more conventional CPUs which may not be able to keep up. Indeed the new Pros are otherwise unaltered, missing technologies like USB-C or Thunderbolt 3. As a result they don't support the LG UltraFine 5K display, which actually does work with the less expensive 2016 MacBook Pro. The 2018 Mac Pros will have modular designs, making them easier to upgrade, and ship alongside a new Apple-branded "pro display."